Here I am, channeling my inner Valeria Lipovetsky (this insta post) and you know what? I’m digging it. 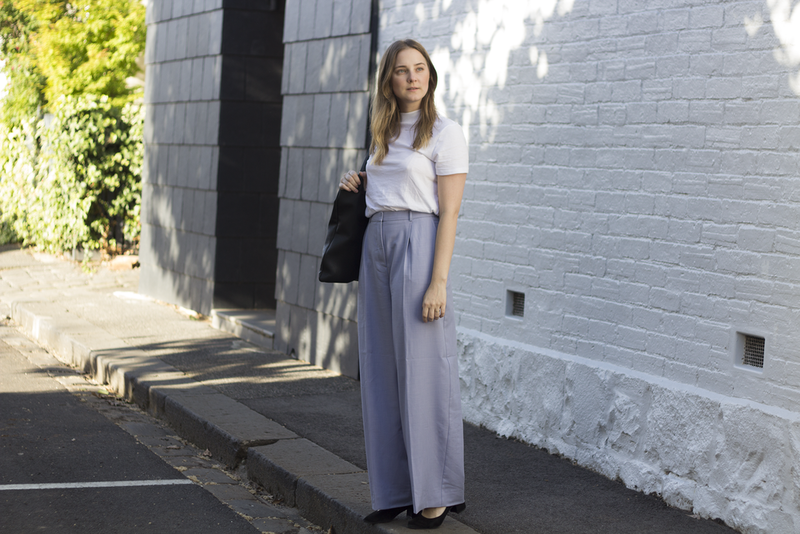 I’m not usually one for wide leg trousers, with pleats… in blue! 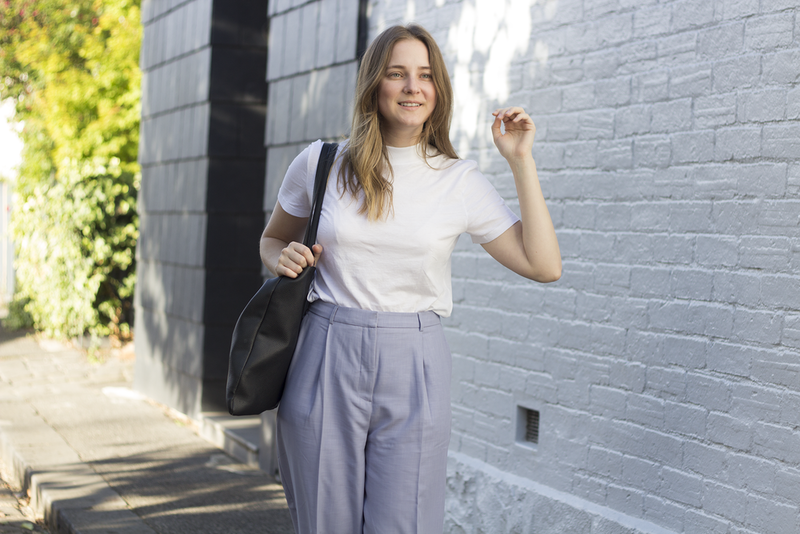 The only wide pants I own are black velvet Uniqlo ones and an array of PJ pants. Maybe this is taking me one step closer to actually wearing pyjama’s in public (a dream, really). In all seriousness, I recently took some old skirts and jumpers to H&M and got myself a little discount coupon to use. So, when I popped my head in the other day, I was pleasantly surprised to find these wide leg pants on the mannequin, in all their powder blue glory. I can imagine these will take me through summer and into autumn and let’s face it, with some boots and a coat, winter too. The basic white t-shirt is from Zara, I’ve been in need of something like this for a little while. I saw a friend at work with it which inspired the purchase; I also got it in black.